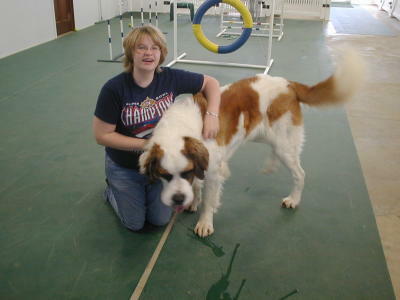 A visit to our dog resort shows our devotion to dogs of all sizes and breeds. 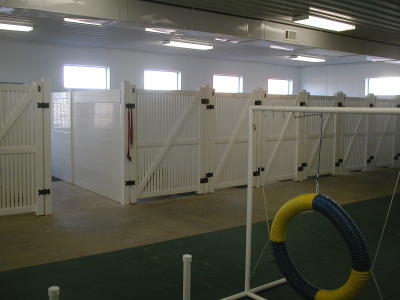 Impeccable cleanliness and premier safety considerations are hallmarks of The Lucky Dog Lodge. 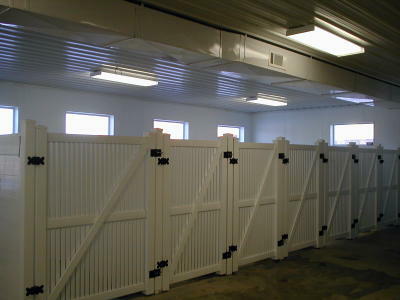 Our unique enclosure system is so sanitary, it is USDA approved for use in human food facilities and Grade A dairy farms, and it is cleaned using hospital grade disenfectants. 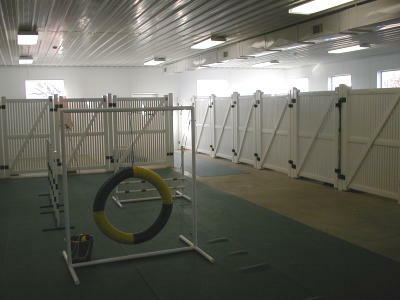 We constantly sanitize the toys in our indoor exercise area as well. 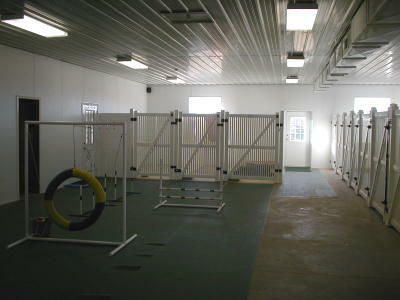 The Lucky Dog Lodge also features the unmost safety. Our suite doors are custom made so that the smallest dog cannot squeeze through an opening, yet are strong enough to hold the giant breeds. 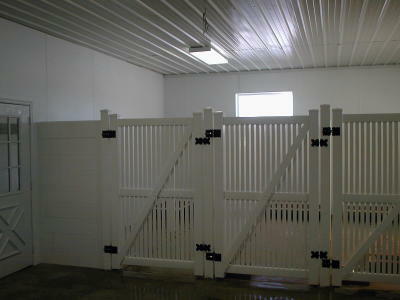 All exterior doors are surrounded by safety fences--but we don't stop there. 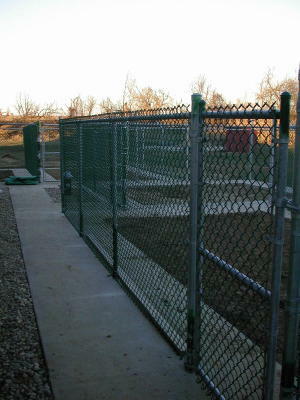 The dig-proof fence around our outdoor exercise areas also has safety tip-in tops, making it almost 8 feet high and preventing even the most determined "escape artist" from climbing it or tunneling under it. 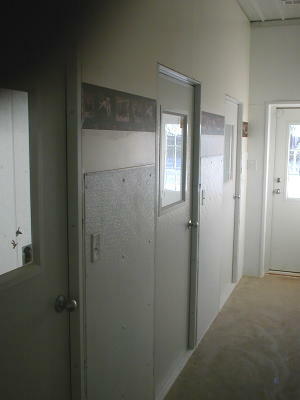 Each suite is very long so dogs can run back and forth, but is completely separate from the adjoining suites. We also have secluded suites available for guests who are sensitive to the excitement of boarding or are older and require more relaxing surroundings. Ample windows were included in our design to allow plenty of sunshine in. 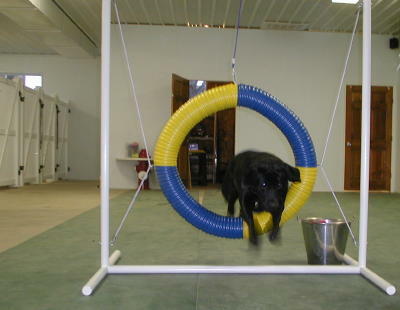 For added fun and exercise, the indoor exercise area is fully covered with safety mats and contains low obstacles and interesting toys. 4 Secluded Suites for delicate or elderly guests, with private outdoor area. 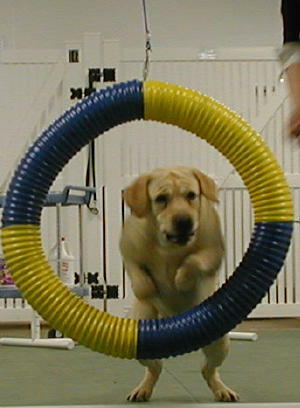 Huge 1700 square foot Indoor "Doggie Fun Course"
Guests exercise"one-on-one" with our staff in the comfort and safety of our indoor exercise and game area. 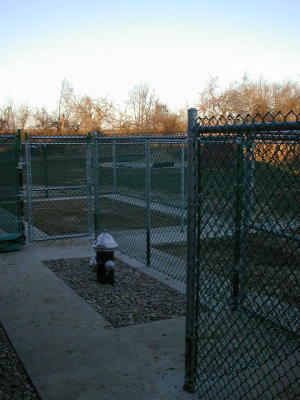 We also have large, fenced outdoor exercise areas for individual enjoyment when weather permits. Okay, they aren't outside - but Laura & Elizabeth are enjoying some serious couch time! Plenty of room to romp! 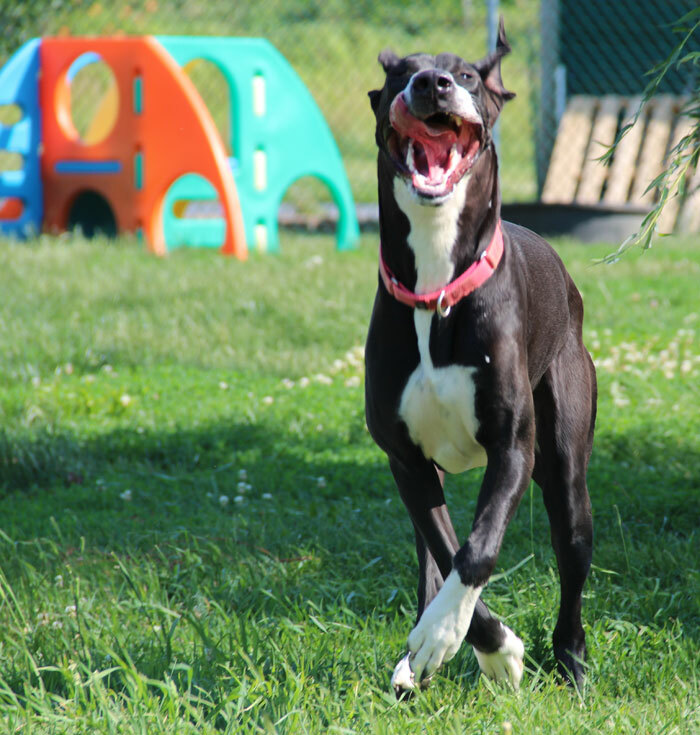 Room for Great Danes to stretch their legs and RUN! Country quiet, with lots of nature to enjoy! 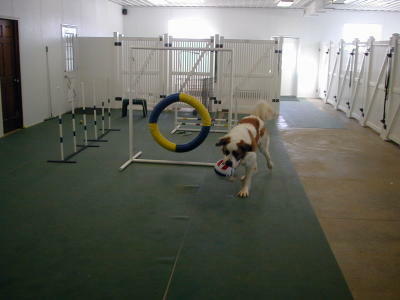 Gunner says come and play - you'll love it! 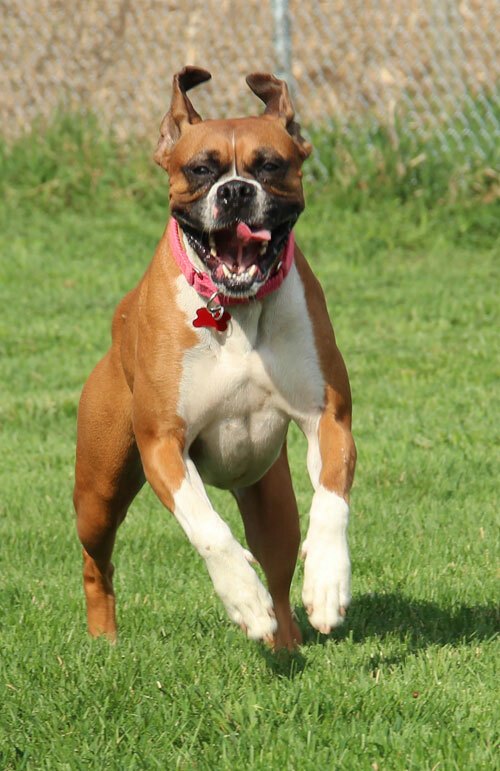 Many more guest photos (and guest reviews) on our Facebook Page - just look for Lucky Dog Lodge! sea................. He is just my dog.